I have to say right from the beginning, this book wasn’t for me. I decided I wanted to write a review anyway because a lot of people recommended this book to me, and I could definitely see why they enjoyed it, and what a well-written book it is! I also wanted to give my opinion on this book because, despite not enjoying all of it, I thought it was a great concept for a book, with strong characters and a well thought-out storyline, and I listened to this book right to the end to find out what happened! The whole concept behind this book, there being a town where everyone can hear everyone else’s thoughts, and all the women of the town are banished once they reach the age of thirteen, I thought was great. I loved the idea of people being able to hear what each other think and the fact that main character Todd can communicate with his dog I thought was very amusing! After a while though, I thought that the idea that your ‘noise’ could give away what you were going to do next, no matter how much you controlled it, was a bit difficult and it made it harder for me to follow the book. Up until Todd meets Viola I was really enjoying this book, but the fact that she came down in a ship and from another land or town, her mother and father being dead, it just all became a little improbable for my tastes. 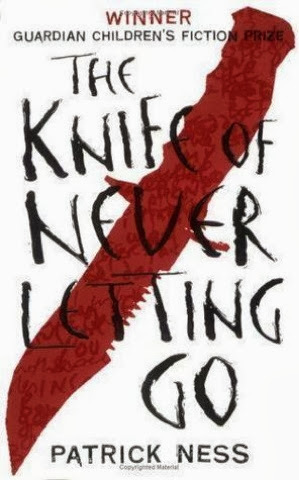 The fact that Patrick Ness has built this whole other world and way of thinking I think it just amazing, however and I really admire him as a writer. Also the fact that this is part of a trilogy is pretty impressive too. I listened to this book on audio book and I thought it was really well narrated and added to the enjoyment for me. I listened right to the end, but the ending was a little disappointing from my point of view. This book is part of a trilogy and whilst I was hoping for some kind of resolution at the end, the fact this it is part of a trilogy meant that there was no resolution. 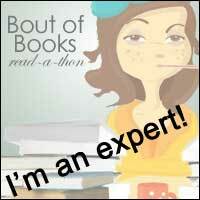 The ending is left open, leaving you wanting more and wanting to buy the next book. Whilst I will not be doing this, I can see why other people would do. If world built up like this are your kind of thing and you are more familiar than I am with other races and rules surrounding killing and living, this will totally be your kind of thing. It was gripping and well-written but it wasn’t for me!